We help create high performance organizations that enrich human life and achieve extraordinary business results. Analyze the current state and effectiveness of your organization using our proven High Performance Framework. Clarify your strategy and establish goals. Develop your leaders with the tools and skills to change behavior. Build trust, emotional intelligence, and communication skills. Take your leadership from control-and-demand to coaching, facilitating, and empowerment. After laying a foundation of High Performance Leadership principles, help leaders take their skills and build High Performance teams. They learn about the team model and how to implement it in their organization. We work with organizations to determine where they are right now and where they’d like to be. We then put together a strategy to help achieve those goals. LEARN MORE. We help leaders transition from a traditional mindset to a High Performance one. Leaders provide the vision, inspiration, and direction to attract and motivate others. LEARN MORE. We help leaders create self-managing, multi-functioning groups organized around a whole process. We help develop empowered employees responsible for their own success. LEARN MORE. Laura Boyd has over 20 years of experience working with organizations to help them develop sustainable growth as organizations and the people within. She has been a leader on executive teams for large companies, emerging companies and non-profits, as well as, a business owner. She believes Leadership is the ultimate Delta for change, strategy and growth in an organization. She is now taking her years of experience helping businesses become high performance organizations. Laura has her Masters in Organizational Leadership and certification in change management. Along with her years of communications and sales success, she is perfectly suited to help any organization assess, strategize, and develop both leaders and teams for growth. When Laura is not working with her clients, she enjoys spending time with her busy family, coaching volleyball, working out at the gym and walking her dog. One day, she will master (well, maybe not master) the piano. Contact Laura. Kristin Hartung is an organized creative with over 15 years of professional experience. She is currently working to support and guide the growth of Leadership Delta through many channels including marketing and office operations. Kristin received her BA from the University of Northern Iowa in Art with an emphasis in Graphic Design. Since moving to the “big city” she has held a wide variety of positions that have shaped who she is professionally today. In her spare time, Kristin enjoys spending time with her husband and two very energetic young children, teaching and throwing pottery, staying active through all types of exercise as well as squeezing in time with her dear friends. Contact Kristin. Alissa grew up in a small farming town in southern Minnesota and comes from hard working stock. Her dad was a traveling sales rep for the same company for more than 32 years, and her mom was a teacher. Alissa played volleyball with a junior Olympic team and received a full ride to play at South Dakota State University, where she graduated with a double major in Business Economics and Spanish. Alissa has devoted her entire career to recruiting. After working for a large recruiting firm out of college, she started her first business in 2008 and has never looked back. She sits on the boards of the International Dyslexia Association and the Minnesota State Chamber of Commerce. 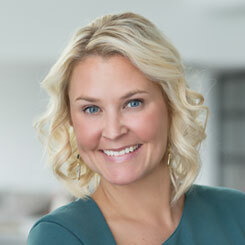 Alissa was named to Minnesota Business Magazine’s 2018 list of “Women Who Lead.” and the Minneapolis/St. Paul Business Journal’s 2019 “40 Under 40” list. Like her husband and partner, Lucas, she adores her family and loves traveling and spending time with them up north. Contact Alissa. Would you like to get in touch with us? Fill out the form below and we’ll contact you with more information.